The CompTIA IT Fundamentals online course is the perfect starting point for anyone who is considering starting a career in the IT industry. Focused on entry-level students, you will be taught basic IT concepts such as the identification of computer components, the installation of software, establishing network connectivity and identifying security issues. This will lay the perfect foundation from where you will be able to build a rewarding career as an IT professional. Upon completion of this course, you will be able to further your education by taking on more advanced IT certifications. 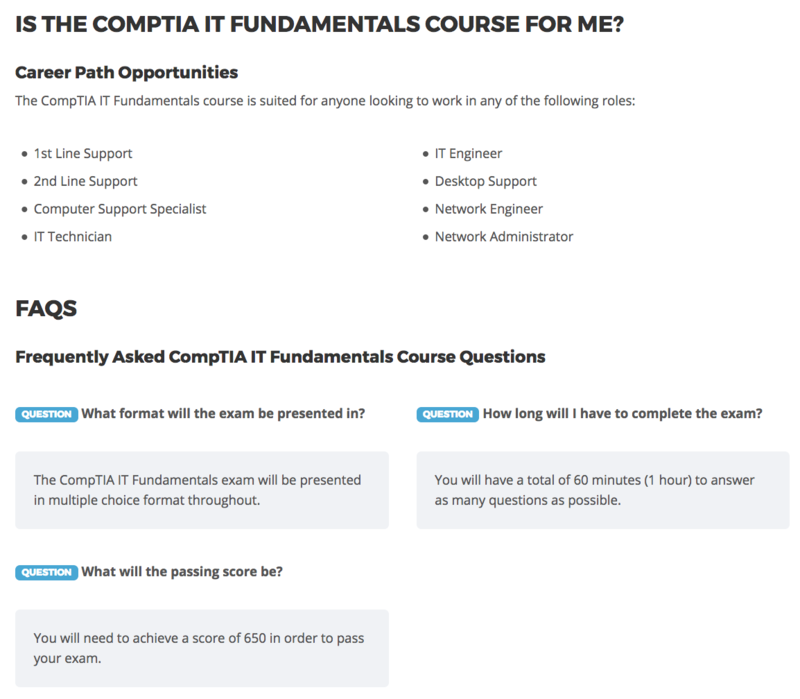 There are no prerequisites for studying the CompTIA IT Fundamentals course.